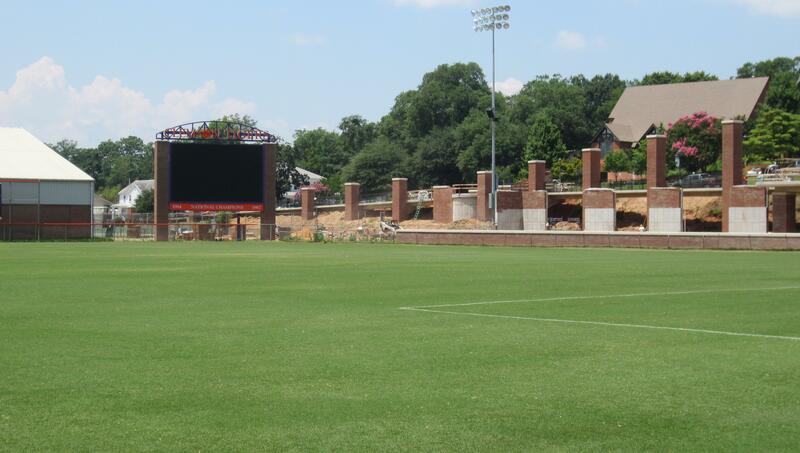 Construction is ongoing at Historic Riggs Field, the home of the Clemson men’s and women’s soccer teams. The improvements are focused on the north side of the soccer complex, and include a pedestrian bridge that provides a new entrance to the stadium as well as improved safety for pedestrians along Highway 93. The north stands will also be reconstructed and elevated as part of the project.